This is the part of the Bezos theory of the case. They argue that the reason the National Enquirer went ahead and did what they see as a hit job on Jeff Bezos by exposing his affair was because of this connection with the Saudis. The president having a good relationship with the Saudi leader and the National Enquirer having an enormous debt of more than 800 million dollars. The Bezos story is that the president arranged for the National Enquirer's executives to go to Saudi Arabia and meet with people there. He came back and said that part of the debt of the National Enquirer had been lifted and had been taken care of they were no longer in deep trouble. 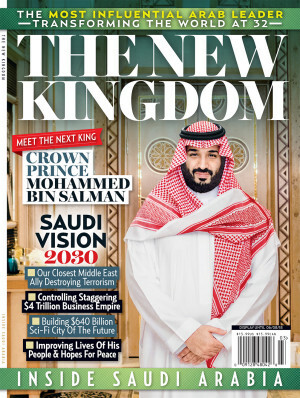 Meanwhile, the National Enquirer was putting out this hundred page glossy magazine that was distributed in Walmarts across the country, extolling the virtues of the new Saudi Arabia under the very same leader who had Jamal Khasshoggi killed. So this is where Trump and the Enquirer are working in cahoots and that Bezos is a target for them for that reason. They don't have any documentary evidence of this. It's a series of circumstantial pieces of evidence. But it does fit with the idea that the National Enquirer was deeply upset at the idea that all these news outlets would be reporting that they had political motivations for this story about Bezos. Maybe I haven't been following this closely enough but I hadn't heard that Trump set up the Saudi meeting before. Here's a thread about the @JeffBezos hack, AMI, and the Saudi connection. Also what ties this together - The @washingtonpost. Apologies in advance, I wrote this in a rush, but thought I'd rather post it now than not post it.